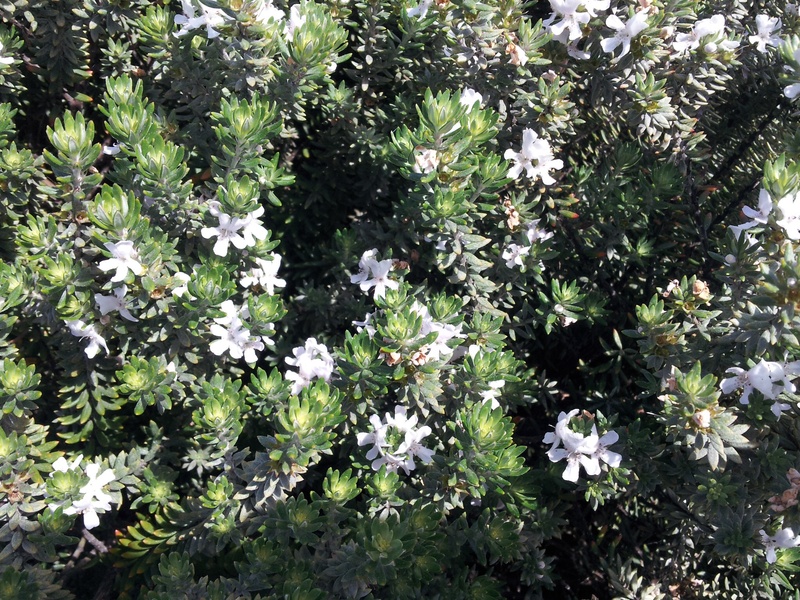 Westringia fruticosa – Coastal rosemary. 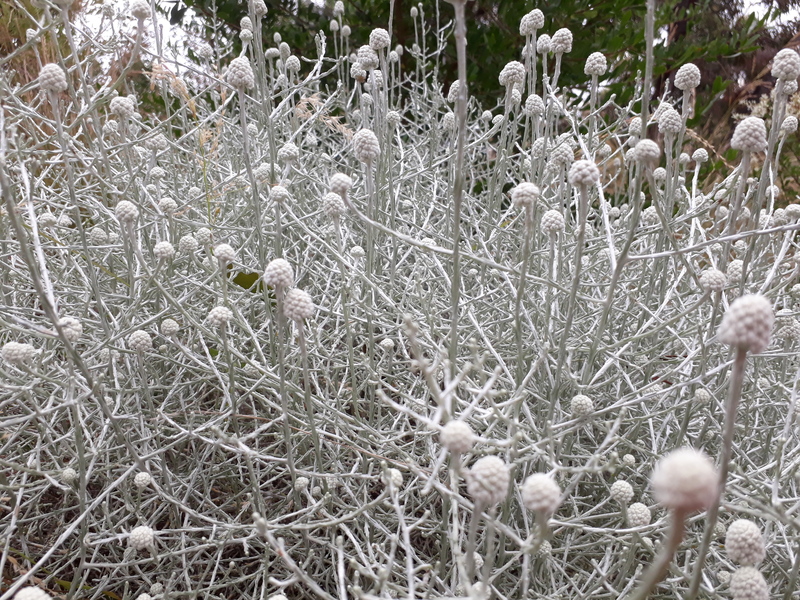 Small dark green leaves with white backs in whirls around the stems gives a soft silvery grey green effect. Highly tolerant of salt spray and hot dry sites. Good hardy shrub that blends well with exotics and other native plants. H 1-2 mtrs, W 1.5-2mtrs. Full sun. Spring and Summer flowers. Leucophyta brownii "Grey Cushion Bush"